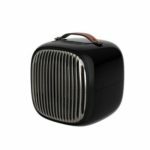 This portable electric heater fan is a perfect personal space heater for home or office use in winter. 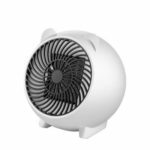 With a max power of 500W, can quick and easy heat up the temperatures in your place, making you warm. 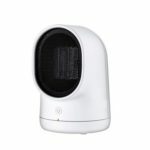 Built-in professional PTC ceramic heating element and 3600 turn silent fan. 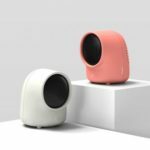 Compact and lightweight, a perfect personal space heater for home or office use. Quick and easy heating, make your home warm. The shell is crafted with ABS engineering flame retardant plastic, quite durable in use. Built-in professional PTC ceramic heating element and 3600 turn silent fan. 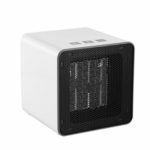 Powerful, intelligent and safe, with a max heating power of 500 watts, energy saving and environmental protection. 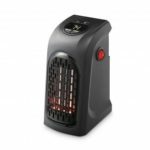 Compact and lightweight, a perfect personal space heater for home or office use. Please kindly notes that: Do not get too close to the bathtub, washbasin or shower pool, and must avoid spraying water directly onto the bathroom heater during bathing.